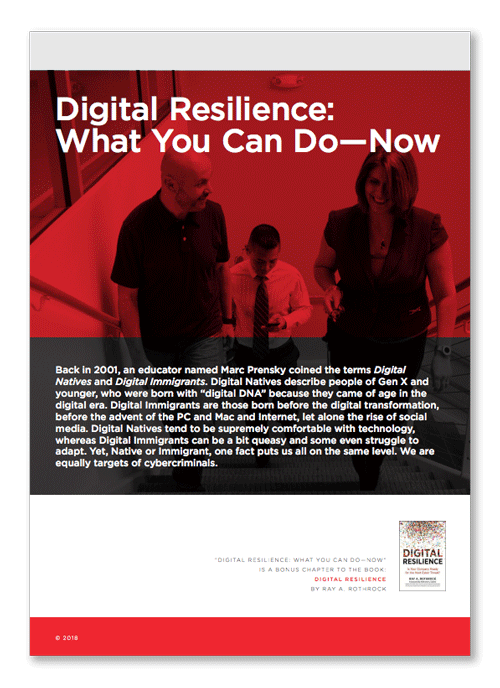 To regain control both in feeling and fact requires that we become resilient in our digital lives. Cybercrime is on the rise — and businesses large and small are at risk. For management, the question is not if you will be targeted, but when. Are you prepared? Is your enterprise cybersecurity team actively monitoring network vulnerabilities and threats, taking steps to understand and contain attacks, enabling continued operation during an incident? 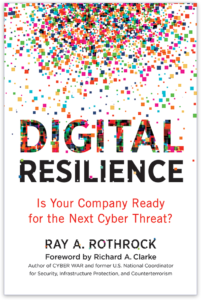 In Digital Resilience: Is Your Company Ready for the Next Cyber Threat, author Ray Rothrock lays bare strategies not just for surviving attacks, but thriving even while under assault.